The Cartoon Brew website has just (2 January) posted an admittedly incomplete preview list of 19 animated feature-length films announced for release during 2012. 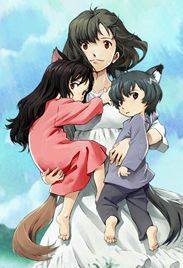 Okami kodomo no ame to yuki (The Wolf Children Ame and Yuki). 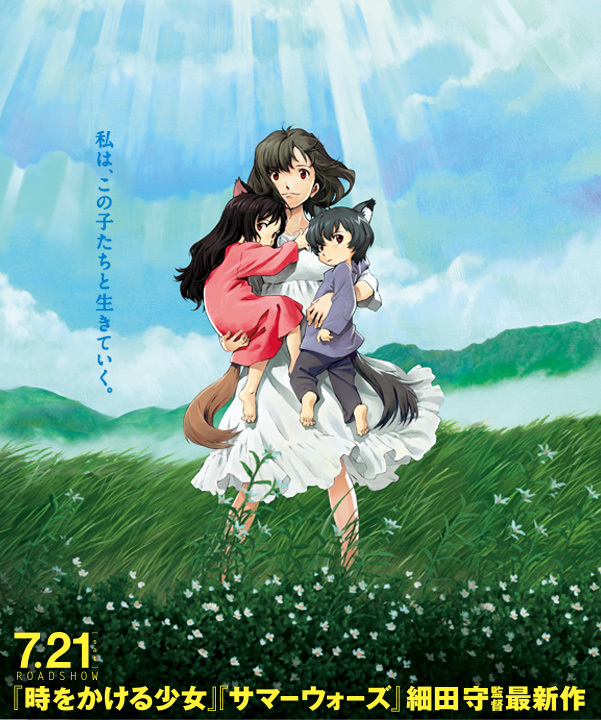 From the director of The Girl Who Leapt Through Time and Summer Wars, the story of a college student named Hana who marries a “wolf man” and gives birth to two wolf children. When the wolf man dies, Hana and the children move from the city to a quiet rural town. Ed: dronon also noted The Lorax, Brave, and Ribbit – "The tale of a frog with an identity crisis." A Madagascar sequel, and an Ice Age sequel. 2012 is going to be great for me in the way of movies. I am reading that in a flat tone of voice for your sake. If you really are excited, uh, you want to review'em? I probably won't see them, is the thing. Oh, so I read it right. Thank God. Not by lack of wanting on my part, mind you. Besides, I come here partly for your reviews. Yeah, but ... oh, crap, she complimented me after I was obnoxious. Thank you very much, and you gain one free coupon, usable to win ONE FREE ARGUMENT WITH CROSSAFFLICTION. Only usable on Flayrah comments during the year of 2012. Only eligible for owner of coupon; others on owner's side of argument cannot also claim victory. All rights reserved. The quality of the Madagascar movies varies in inverse-exponential proportion to how much screen time that irritating little old lady has. I don't think I'll be seeing Madagascar 3, they're just turning it into what Shrek has become. A trailer for Wolf Children has turned up. On June 19, it was announced that “Ookami Kodomo no Ame to Yuki” will have its world premiere in France on June 25, and will be released in 34 countries on July 21. A new trailer and photographs of the voice cast are included.